Museum-lovers will get to explore Australian National Maritime Museum and Brett Whiteley Studio. Take a break from the city and head to Bondi Beach and Manly Beach. 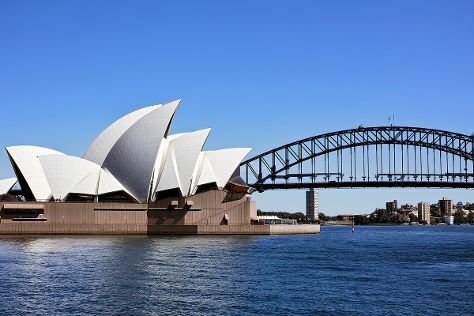 There's still lots to do: take a stroll through Darling Harbour, explore the world behind art at White Rabbit Gallery, take in the views from Sydney Harbour Bridge, and admire the natural beauty at Royal Botanic Garden Sydney. To find traveler tips, maps, more things to do, and more tourist information, refer to the Sydney trip planner . George Town, Malaysia to Sydney is an approximately 13-hour flight. The time zone difference when traveling from George Town to Sydney is 3 hours. Expect slightly colder weather when traveling from George Town in May: highs in Sydney hover around 24°C, while lows dip to 14°C. Finish your sightseeing early on the 24th (Fri) to allow enough time to travel to Melbourne. 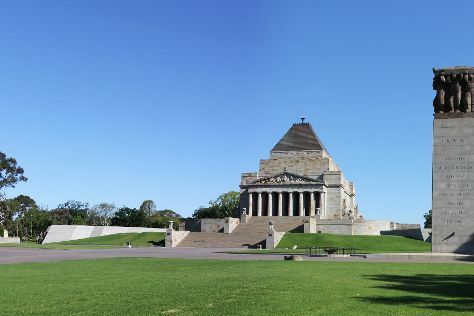 Start off your visit on the 25th (Sat): get engrossed in the history at Immigration Museum, explore the galleries of Shrine of Remembrance, then take in nature's colorful creations at Royal Botanic Gardens, and finally take in panoramic vistas at Eureka Skydeck 88. Get ready for a full day of sightseeing on the next day: examine the collection at Melbourne Museum, then see the interesting displays at National Sports Museum, and then examine the collection at Federation Square. For where to stay and tourist information, read Melbourne online trip planner . Traveling by flight from Sydney to Melbourne takes 3.5 hours. Alternatively, you can do a combination of flight and shuttle; or drive. Prepare for a bit cooler weather when traveling from Sydney in May: high temperatures in Melbourne hover around 20°C and lows are around 9°C. On the 27th (Mon), wrap the sightseeing up by early afternoon so you can travel back home.